Looking from the outside in, defining Hamlin Plantation can be a difficult task. Is it a collection of four – soon to be five – separate but connected neighborhoods surrounded by one of the fastest-growing cities in South Carolina, or is it a peaceful retreat, insulated from booming Mount Pleasant and far from the fuss and flutter of the Charleston peninsula? Should it be judged by its award-winning amenity center, which features an impressive clubhouse that looks like it might have come off the set of “Gone With The Wind,” or by its miles of walking, jogging, biking and hiking trails meandering peacefully through the forest and marsh that were here long before Southern planters built their magnificent mansions? When people think of Hamlin Plantation, do they see a wide range of single-family homes and town homes, creations of nationally-renowned and local custom builders, or do they hear the soothing sounds of nature serenading homeowners lucky enough to have settled in among the birds, reptiles and mammals who also consider Hamlin Plantation to be their home? All these descriptions are accurate but not quite precise, according to Jane Miller, a Carolina One Real Estate agent who has lived in Hamlin Plantation since May 2006. In her view, the subdivision’s most important drawing card is the people who live there, the way they get along with each other and the way they help those who need their assistance. She adds, however, that Hamlin Plantation is more than a place to visit with friends and neighbors, attend a wide range of social events, enjoy the natural surroundings and simply have fun. Hamlin Plantation, it seems, has a heart. As an example, Miller cites the case of a popular resident who lost his life in a tragic traffic accident (removewhile traveling through North Carolina.) He is remembered by a plaque and patio in a peaceful spot near one of the neighborhood’s many bridges, all built with donations from his neighbors. 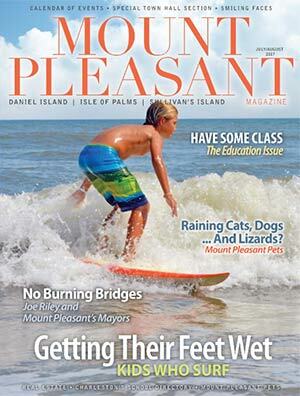 Non-residents in need also benefit from the unbridled generosity of Hamlin Plantation’s homeowners. During the most recent holiday season, the community adopted nine families, providing them with clothes, toys and furniture. They regularly participate in the Marine Corps’ Toys for Tots program, and they recently collected, packed and shipped gift boxes containing items such as toothbrushes, toothpaste, sunscreen, CDs, writing paper, socks and razor blades to soldiers serving in Afghanistan. A recent re-gift party and auction raised funds for the Windwood Farm home for Children, which provides therapeutic intervention programs, and the Florence Crittenton Program, which provides shelter and support for single mothers. Miller is quick to point out that the people of Hamlin Plantation are the most important reason – but not the only reason – to live there. An Ohio native, she moved south partly to enjoy the outdoor life. Fran, who can see Hamlin Sound from her back porch, adds that even though she and Jim still have a condominium downtown, they hadn’t spent the night there in more than six weeks. Potential homeowners who seek the serenity of the best nature has to offer but a location within easy driving distance of the beach, downtown Charleston, an international airport and world-class shopping have four options at Hamlin Plantation, with a fifth on the way. The Sound offers primarily custom-built homes, most of them larger than 3,000 square feet built on premium lots by The SINTRA Corporation, and various other fine home builders. 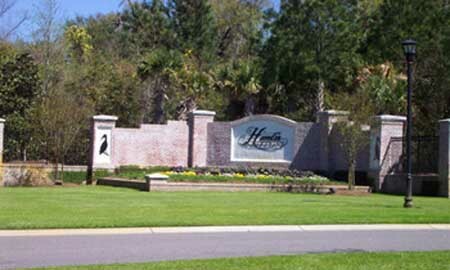 You can see Hamlin Sound, the Isle of Palms and Goat Island from some of the lots, and a couple have deep-water access. Waverly is an intimate neighborhood of homes in the 2,200 to 2,800-square-foot range and upscale town homes that features a wide array of green space and water. Also built by award-winning John Wieland Homes, Madison offers a selection of single-family homes and town homes. The Village, a neighborhood of curving streets and naturally landscaped yards, offers three-, four- and five-bedroom homes built by The SINTRA Corporation. One Hamlin Place, a small community of luxury town houses with highly detailed architecture and elevators (REMOVE and possibly some single-family homes,) is currently under construction by Wieland. 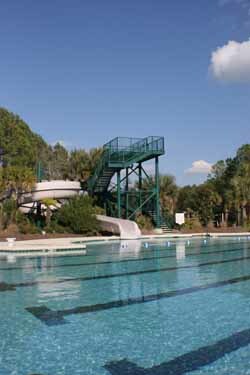 Regardless of which neighborhood they choose, Hamlin Plantation residents enjoy a wide selection of recreational activities, including a large clubhouse; a fitness facility; a large pool with a water slide; numerous trails; and beach volleyball, tennis basketball courts. Miller points out that many residents enjoy the Hamlin Plantation life so much that when they outgrow their home, they buy a larger one in another Hamlin Plantation neighborhood.